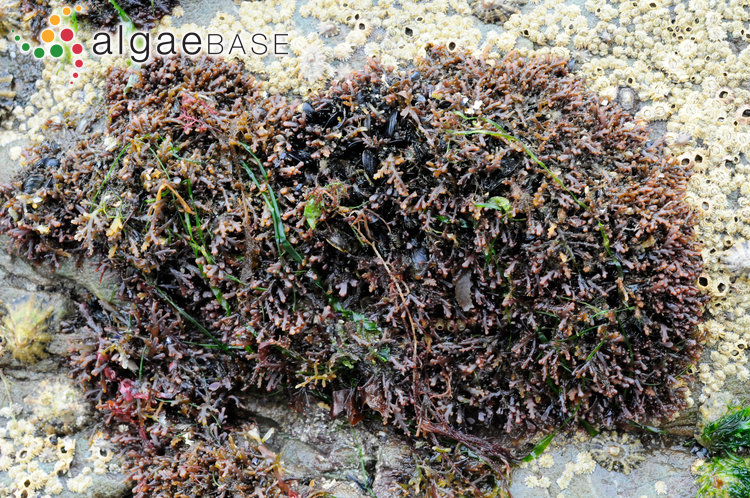 Osmundea pinnatifida, lower intertidal, North of Portugal, 2013, Ignacio BÃ¡rbara. Ignacio Bárbara. © Bárbara (barbara@udc.es). lower intertidal, Ría de A Coruña, Galicia, Spain, 2012. 01 Jan 0001. Ignacio Bárbara. © Ignacio Bárbara (barbara@udc.es). 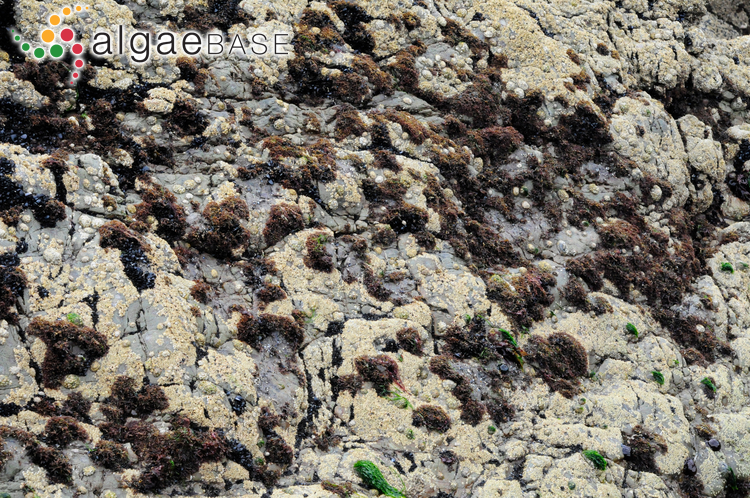 Spiddal, Co. Galway, Ireland; on limpet with Ceramium and other filamentous algae. 03 Apr 2011. M.D. Guiry (mike.guiry@nuigalway.ie). © M.D. Guiry. Osmundea pinnatifida turf, Spanish Point, Co. Clare, Ireland; turf-forming plants. 28 Aug 2010. M.D. Guiry. © Michael Guiry (mike.guiry@nuigalway.ie). 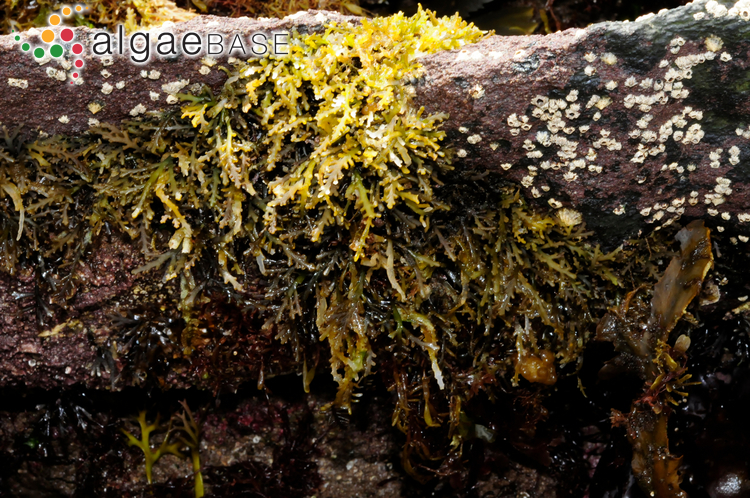 Osmundea pinnatfida, Fountainstown, Co. Cork. 25 Aug 2010. M.D. Guiry" . © Michael Guiry (mike.guiry@nuigalway.ie). 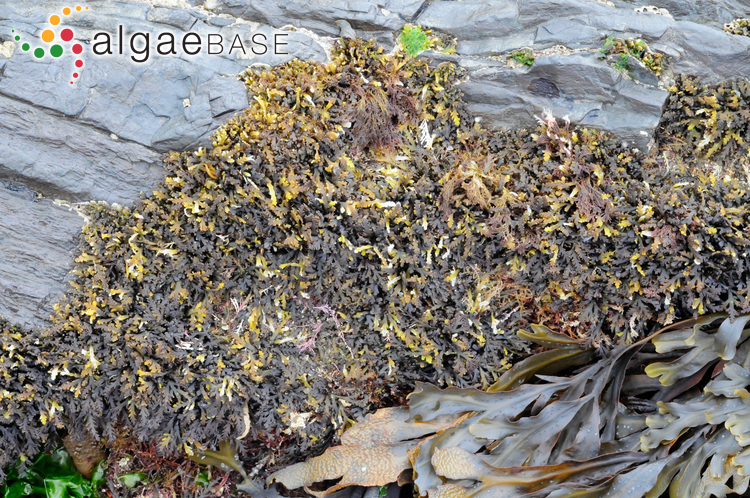 Osmundea pinnatifida Cuan, Ventry Harbour, Co. Kerry, Ireland. 11 Aug 2010. M.D. Guiry. © Michael Guiry (mike.guiry@nuigalway.ie). The type species (lectotype) of the genus Osmundea is Osmundea expansa Stackhouse. Type locality: Harwich, Essex, England (Silva, Basson & Moe 1996: 534). Notes: This type locality was first recorded by Maggs & Hommersand (1993: 403, footnote). Most Mediterranean records of this species (either as Osmundea pinnatifida and Laurencia pinnatifida) must be referred to Osmundea truncata (Nam, Maggs, McIvor & Stanhope, 2000). The only confirmed record of O. pinnatifida in the Mediterranean Sea is by Boisset et al. (1995) for the Alboran Sea (Furnari et al., 1999). "Early records from Ghana and São Tomé (as Laurencia pinnatifida) should be almost certainly discounted since the material upon which they are based most probably relates to the tropical Laurencia brongniartii." (John et al., 2004). A tropical record of this species (Papua New Guinea, Littler & Littler, 2003) is a misapplied name for Chondria ryukyuensis Yamada, which also occurs in nearby Solomon Islands (N'Yeurt & Payri, unpub. data). 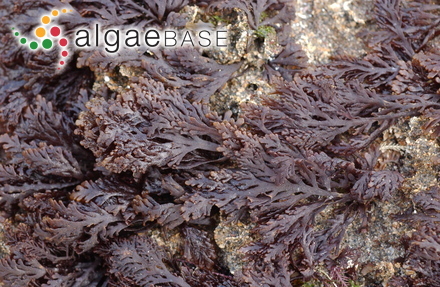 English: Pepper Dulse (Bunker et al. 2010). Portuguese: Botelho-preto, Argacinho-das-lapas (Oliveira, 1990). 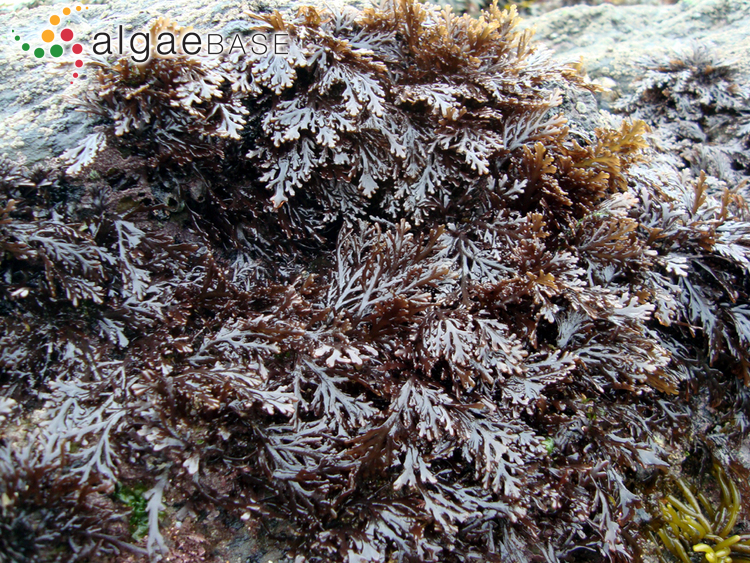 English: Prickly tang (Ohmi 1968), Pepper Dulse (Chapman & Chapman 1980). Gaeilge: Máthair an Duillise, Derida, Griabhán (Brennan 1950), Míobhán, Uisce beatha (Anonymous 1978). Machín-Sánchez, M., Gil-Rodríguez, M. & Haroun, R. (2018). 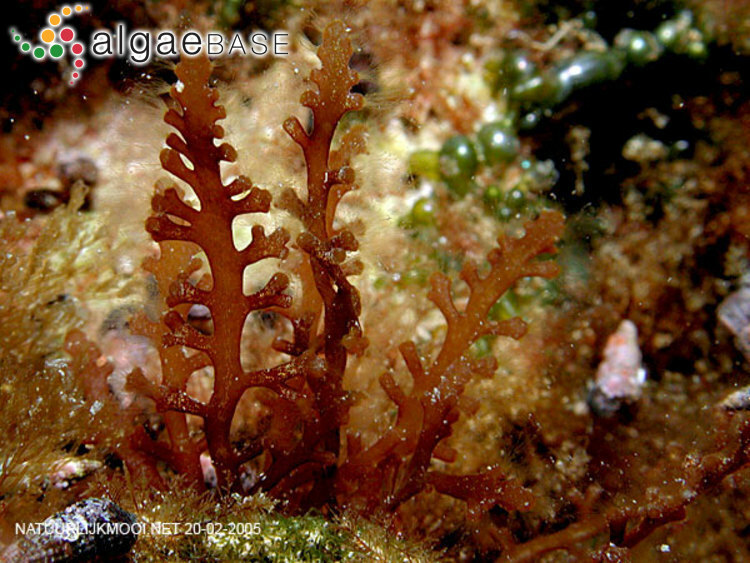 Phylogeography of the red algal Laurencia complex in the Macaronesia region and nearby coastal areas: recent Advances and future perspectives. Diversity 10: 1-21, 2 figs. Machín-Sánchez, M., Rousseau, F., Le Gall, L., Cassano, V., Neto, A.I., Sentíes, A., Fujii, M.T. & Gil-Rodríguez, M.C. (2016). 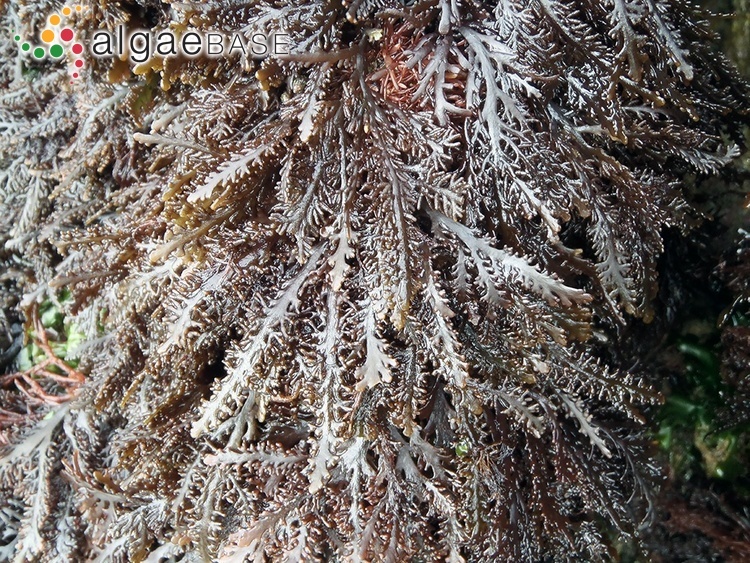 Species diversity of the genus Osmundea (Ceramiales, Rhodophyta) in the Macaronesian region. Journal of Phycology 52(4): 664-681. Nam, K.W., Maggs, C.A. & Garbary, D.J. (1994). 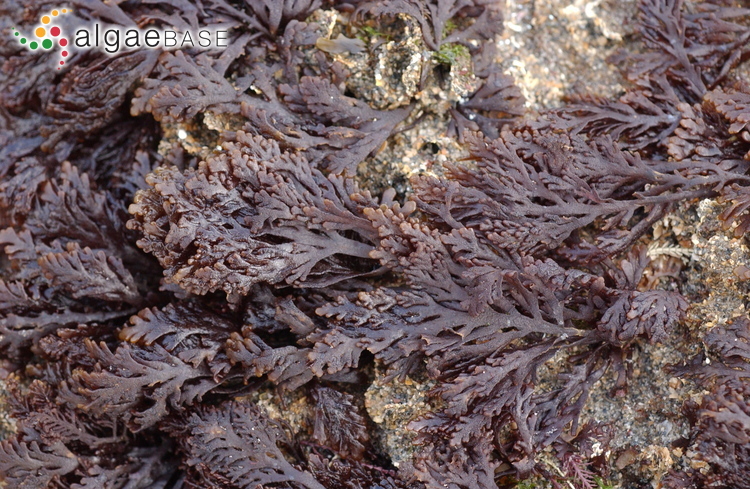 Resurrection of the genus Osmundea with an emendation of the generic delineation of Laurencia (Ceramiales, Rhodophyta). Phycologia 33(5): 384-395, 38 figs, 3 tables. Serio, D., Petrocelli, A., Cormaci, M., Cecere, E. & Furnari, G. (2008). First record of Osmundea oederi (Gunnerus) G. Furnari comb. 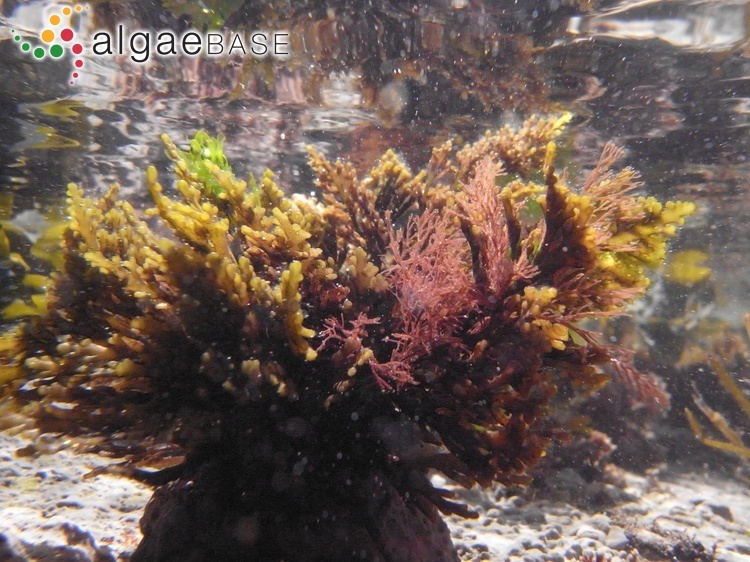 nov. (Rhodomelaceae, Rhodophyta) from the Mediterranean Sea. Cryptogamie, Algologie 29: 119-127. Wynne, M.J., Serio, D., Cormaci, M. & Furnari, G. (2005). The species of Chondrophycus and Laurencia (Rhodomelaceae, Ceramiales) occurring in Dhofar, the Sultanate of Oman. Phycologia 44: 497-509. Accesses: This record has been accessed by users 17938 times since it was created. Boisset, F., Lino, J.C. & Gil-Rodríguez, M.C. (1995). Osmundea pinnatifida (Hudson) Stackhouse y Osmundea sp. 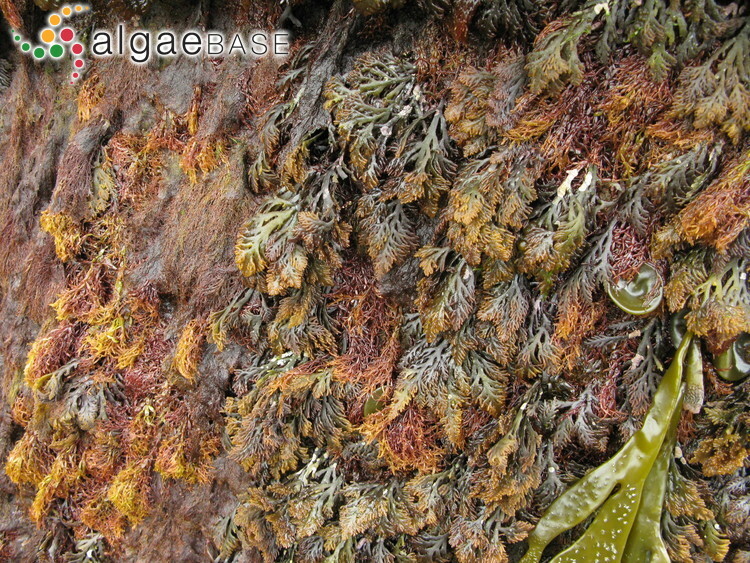 (Ceramiales, Rhodophyta) en el Mar Mediterráneo. In: XI Simposio Nacional de Botánico Criptogámica. ( Eds), pp. 21-22. Schnetter, R., Gil-Rodríguez, M.C., Medina, M., Döring, J., Henne, K.-D. & Hernández-González, M.C. (2000). 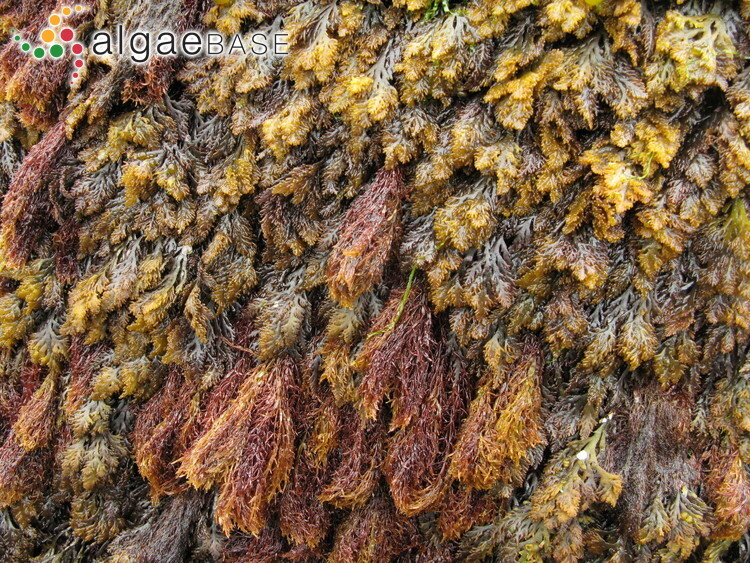 Distinction of gametophytes and tetrasporophytes by microfluorometry in Osmundea pinnatifida (Rhodophyta) from Canary Islands. Phycologia 39: 147-152.